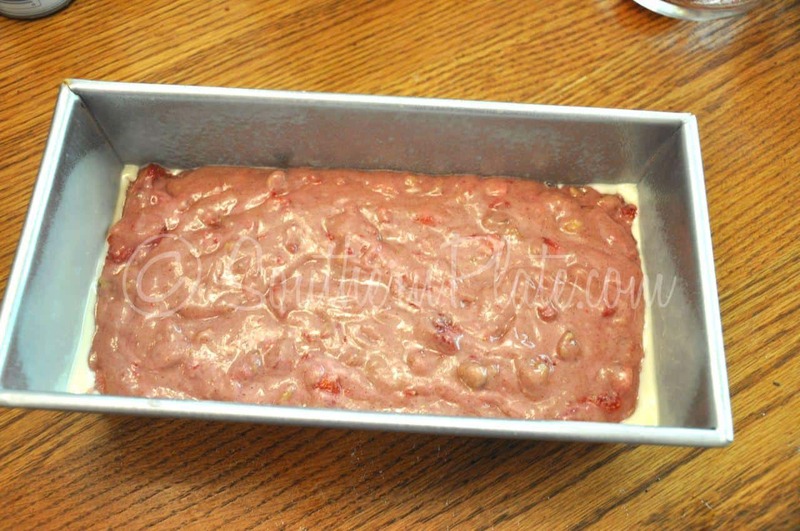 Strawberry Pecan Bread – MMM MMM GOOD! I had a great time at QVC this past weekend and want to thank everyone who tuned in to watch! I have never seen a more organized television station in all of my life, those folks have it down to an exact science! Everyone is so nice, too, you could not ask for a friendlier group of people. I gave David multiple hugs for you all, just as I promised I would! David Venable is the nicest man. I know everyone sees him on tv and thinks that about him but I just want to assure you that he is even nicer off camera. I was standing at the reception desk and I heard “Are you Christy Jordan?” I turned around and it was David – all six feet seven of him! He said “I have been so excited about meeting you! I’ve been reading your book and I just think we must be related!”. We had the best talk and I am happy to report that I finally know someone who talks even faster than I do! When I went on the air I was thinking “Oh please don’t let me be the only person who doesn’t sell anything…”. I was feeling a bit of pressure knowing that QVC had ordered almost eight thousand copies. I was so afraid I’d be the one person that day who went on and the phone lines just stopped ringing. You can tell how surprised I am during the video each time David talks about how many had sold! I was only on air a little over two minutes and about a minute after I went off air they told me it had sold out. I swear, if they would have let me I would have gone back on camera and gave a thank you speech! I don’t know if I’ll be going back or not but David did ask so it is up to QVC whether or not they want to reorder my book and put it on again. Oh I was supposed to be bringing you a recipe wasn’t I? 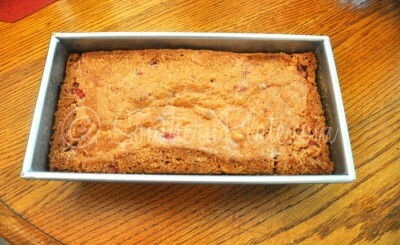 ~grins~ Alrighty then, I have a real humdinger for ya today because this strawberry pecan bread is MMM MMM GOOD! I love fruit in just about any shape and form. I actually don’t know of any fruit offhand that I don’t love, but I do know that strawberries definitely make my top ten list. 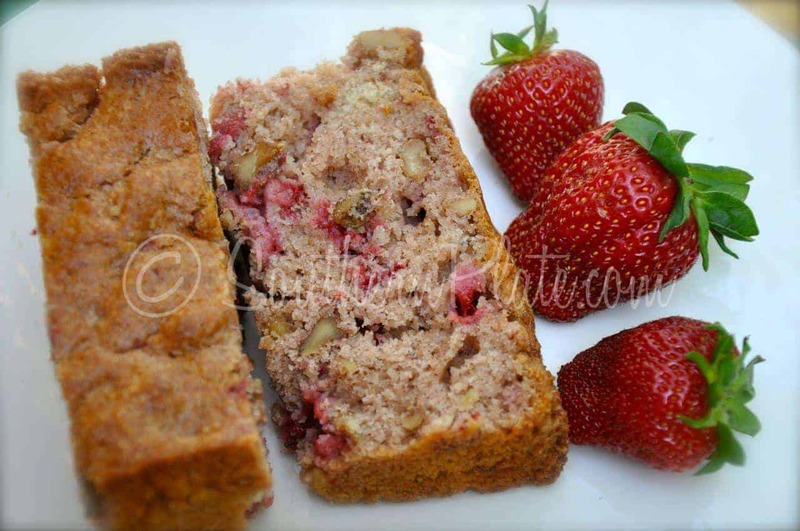 This bread is a great way to use strawberries that might be getting a weeee little bit past their prime but it is definitely worthy of freshly picked berries as well. It is great just sliced and served but if you really wanna gussy it up a bit, butter and toast each slice in the oven for a few minutes, then roll your eyes when you take a bite like David Venable does! 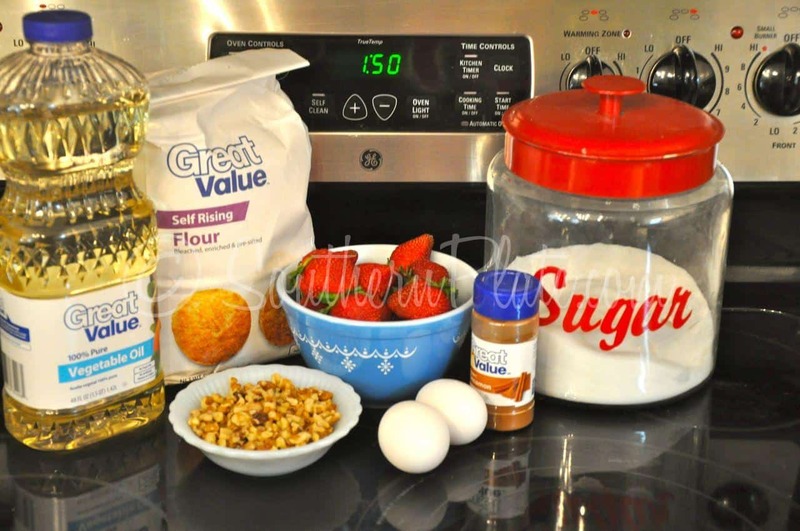 You’ll need: Vegetable oil, self rising flour*, Fresh Strawberries, chopped pecans (or walnuts, can omit if you like), cinnamon, eggs, and sugar. 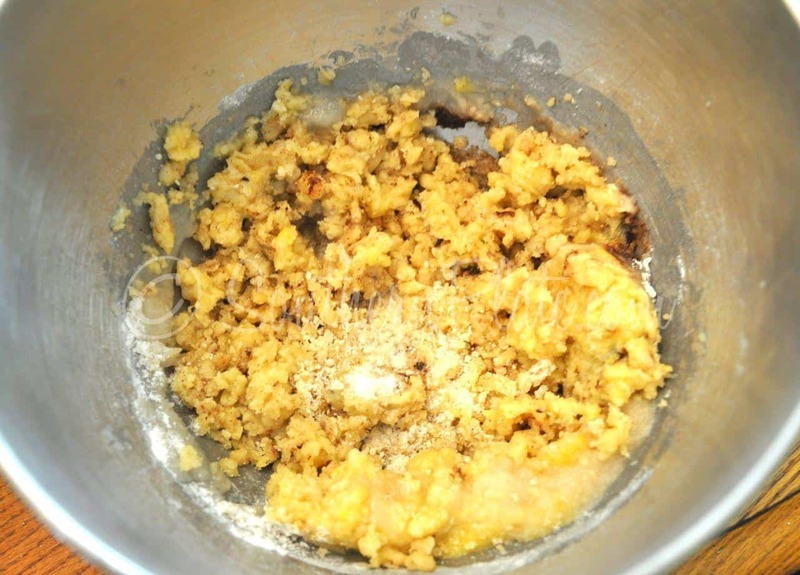 *To make your own self rising flour, visit my FAQ page. 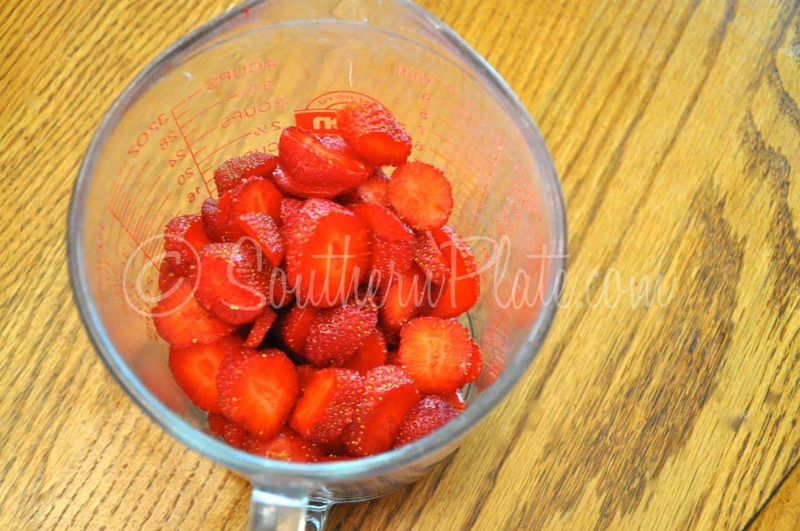 I gotta admit that anytime I buy strawberries for a recipe, I try to buy double if at all possible. Then, I go ahead and slice and sugar all of them and just set aside half. Between me and wandering nomads of my children, they are all eaten before the recipe is done. I love me some sugared strawberries! Grandmama used to have a pretty good strawberry patch in one of her flowerbeds that she’d let us pick from. I haven’t even attempted to grow strawberries here because most of what we grow (cucumbers, canteloupe, two ginormous pecan trees..) just goes to feed the rabbits and squirrels. In the two years since we’ve lived here, I’ve gotten two pecans off my trees, but I have some fat and happy squirrels! I think the critters consider Bountiful to be their own personal utopia with all we feed them – and I’m okay with that. I consider it my own personal utopia too. I’m just grateful that my squirrels and bunnies don’t seem to have a taste for tomatoes…. 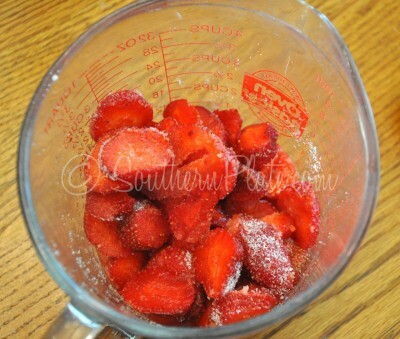 Pour about two tablespoons of sugar over them and stir. Let them sit while you do the next step. If you didn’t buy extra, just sneak a slice or two out of this bowl. It’s not very nice to serve people strawberries unless you tasted them first to make sure they were good, right? Place flour, eggs, sugar, oil, and cinnamon in a bowl. This recipe goes pretty quick so don’t blink! Until it looks something like this. Add in strawberries and nuts. 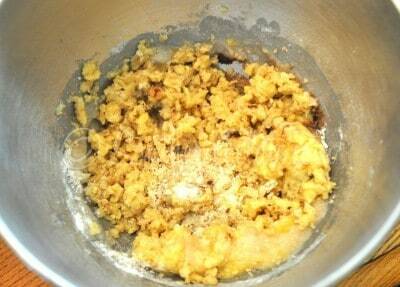 Mix again until well blended. Let cool for about ten minutes before turning out to cool completely. In most cases with breads or cakes, ten minutes is the magic number to wait before turning them out of the pan. Don’t forget to call dibs on the first slice! Place strawberries in a small bowl and pour two tablespoons of sugar over them. Stir and set aside. 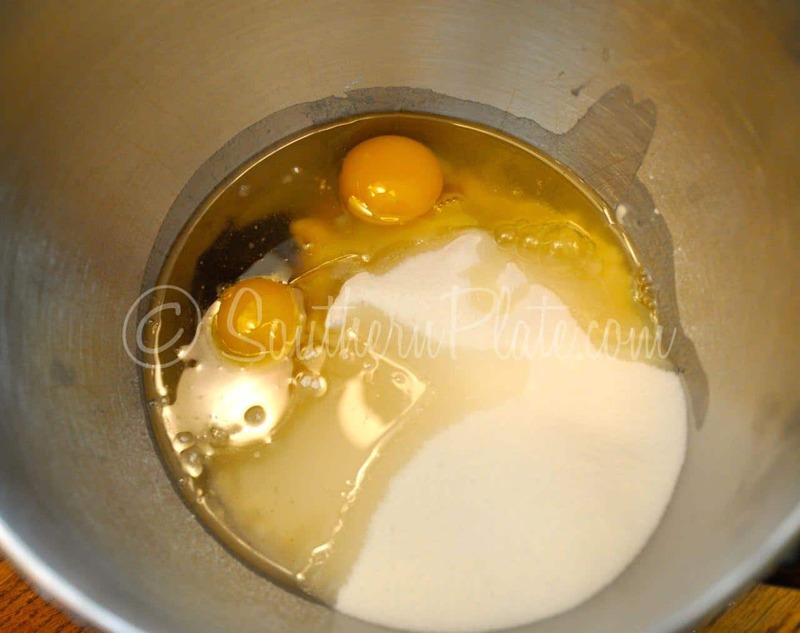 In mixing bowl, place flour, remaining sugar, oil, eggs, and cinnamon. Mix until well combined. 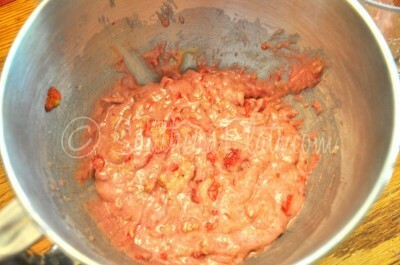 Add pecans and strawberries and mix again until well combined and a pretty shade of pink. Bake at 350 for 45-50 minutes,or until toothpick inserted in center comes out clean. 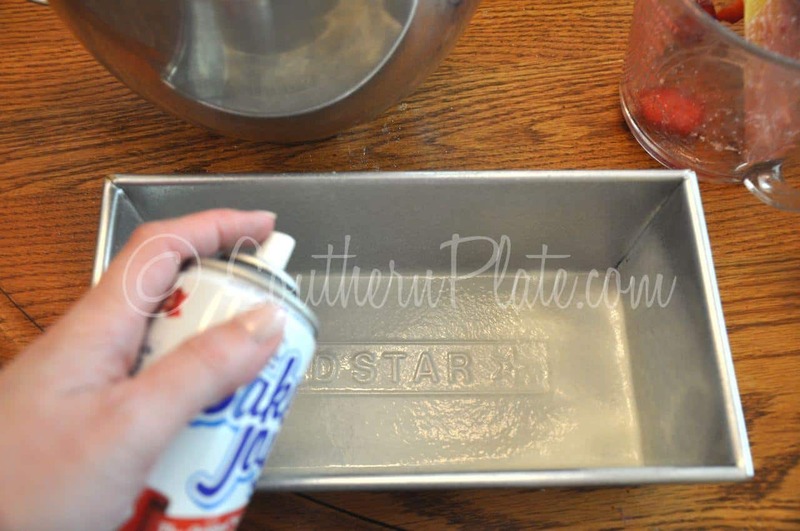 Allow to cool in pan ten minutes before turning out of pan to cool completely. For an extra special treat, butter and toast a slice before serving. If you can talk you can sing. If you can walk you can dance. Submitted by Megan Hache. Submit your quote or read others by clicking here. I saw you on QVC Darlin’, and you did a wonderful job! I hope they DO ask you back. They’re going to have to double their book order next time, too! I’ve been making strawberry bread for years. It’s hubby’s favorite. I should pull my recipe out and make some this week. Never thought about putting pecans in, though. Hubby’s going to love it! I have no idea what QVC is, I’ve never heard of it before. Some tv show in the States, I guess! But that bread looks delicious!!! The next time I’m at the grocery store, strawberries are on the list! Wow this looks good! 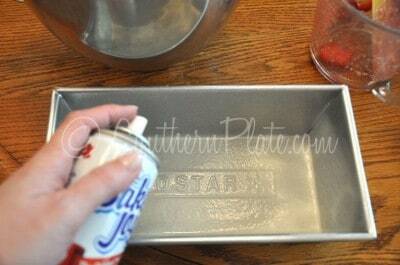 My entire family is a huge fan of your strawberry cake, so I think I’m going to have to try this tonight!! Thanks for posting this. I just linked our farm Facebook page to you. 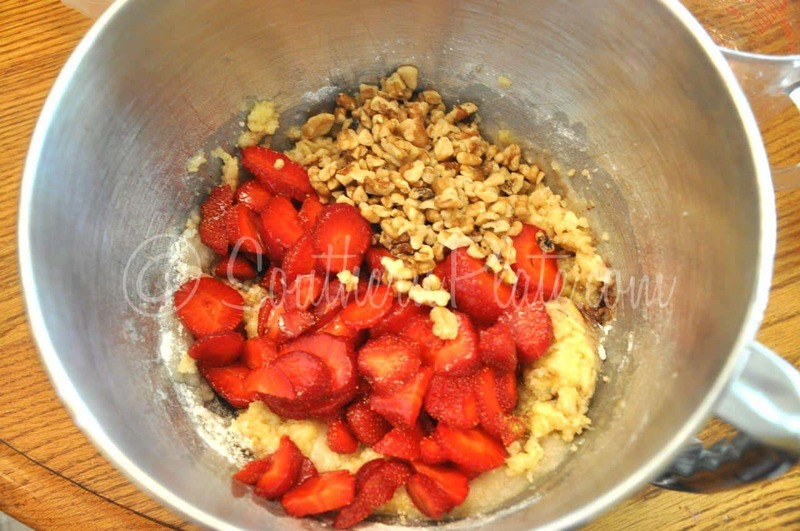 We have an acre of u-pick strawberries, and I will probably be making this recipe for our crew this weekend. I feed them on Saturday and your Strawberry Cake with Cream Cheese Icing was the first dessert we had. It is always a hit. I’m sure this one will not disappoint! I never have tried strawberry bread. Looking forward to trying this recipe! Thanks Christy! Your recipes are all YUM! I am making the cheesy chicken and broccoli for supper tonight! Keep up the excellent job that you are doing with your recipes and book! Best to you! As for your other strawberry recipes listed… I’ve made the cobbler and the cake. Both are wonderful. In fact…. it was a Google search for strawberry cake that led me to Southern Plate! Yummy!! My mouth is watering. Nothing beats fresh strawberries. But can’t help but wonder whether the amount of sugar could be cut in half? Or perhaps use Splenda instead? What size bread pan did you use? Recipe sounds wonderful! Christy — You did a wonderful job on QVC…as a matter of fact your cookbook sold out before I could even order one ( why haven’t I heard about you before QVC?) Anyway, my hubby happened to be out and about and I called and told him to stop at every bookstore until he found your book…Being the good husband he is…he indeed brought one home!!! Me and My Mom ( who lives next door) have just been cooking up a storm since Sunday Afternoon, we love your recipes…My mother said this was the first cookbook she had ever seen ( and she has tons of them) that brought back all the good recipes she remembers as a child ( she was born in Alabama!). Just one question about the Strawberry Pecan Bread…I recently bought 2 gallons ( Alabama strawberries – straight from Centre Alabama!) and froze them whole. Can I use those instead of fresh ones, or does this require me to use the fresh ones…Thanks so much! Lovin’ all your recipes! 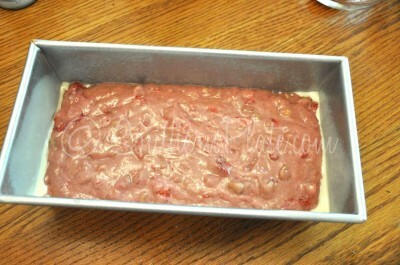 I absolutely love strawberry bread & can’t wait to have some. You do it all so well, Christy, and keep us all proud of you! This is very much like the Amish friendship bread that I used to make with the sourdough starter–Perfectly delish! P.S. 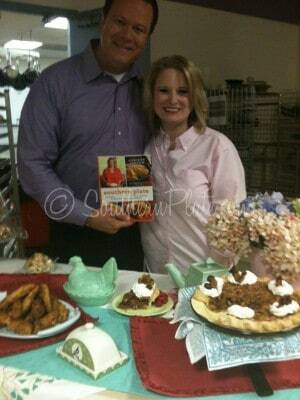 Your QVC appearance ROCKED!!! I didn’t get to see you on QVC 🙁 Normally I watch David’s show every Sunday, but my hubby needed help guiding the cars up on to the ramps to change the oil in both our vans and then we went to the store. I was looking forward to seeing you on the show. But I do have a strawberry question. I have heard if you want a sweeter strawberry to pick a smaller strawberry instead of the larger one. Does anyone know if this is true? I have never heard of Strawberry bread, but it looks sooo good!!!! Will have to make this weekend or sooner!! Thanks Christy! 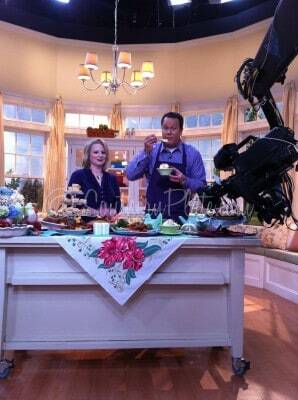 Christy, I watched you on QVC and you were perfect. David seems to have takin a shying to you since you are a Southerner just like him. I wonder if you could make this a strawberry banana bread and what portions of each would you use. Also could it be made with splenda? Keep up the good work. I think a lot of us are living vacariously through you. David Venable is great! I don’t watch “The Q” anymore b/c it was taking quite a toll on the ol’ pocketbook, but I do think it’s a great company. Glad you had the chance to meet him and be a part of QVC. You were looking good on QVC Sunday! I’m glad to hear that David Venable was as nice in person as he comes across on the show. Glad to hear your alotted amount of books sold out. Woo-Hoo! I wonder how this would be with blackberries? I and my mom (with whom I must share all baked goods) are violently, swell-up-and-go-to-the-hospital allergic to strawberries, but this bread looks amazing! I watched you on QVC this past Sunday. You did a wonderful job. I did get my order in on time, thank God! We hope to see you again on QVC. This recipe sounds wonderful…can’t wait to try it. LOVE strawberry bread! Must make now! Thanks! I figured you and David Venable would hit it off ’cause ya’ll both are outgoing southerners! I love your comment about finding someone who talks faster than you…’cause I was pretty annoyed at him that you could hardly get a word in edgewise!! I noticed that you seemed surprised each time he said how many books were gone…now I know why! I got one of them! 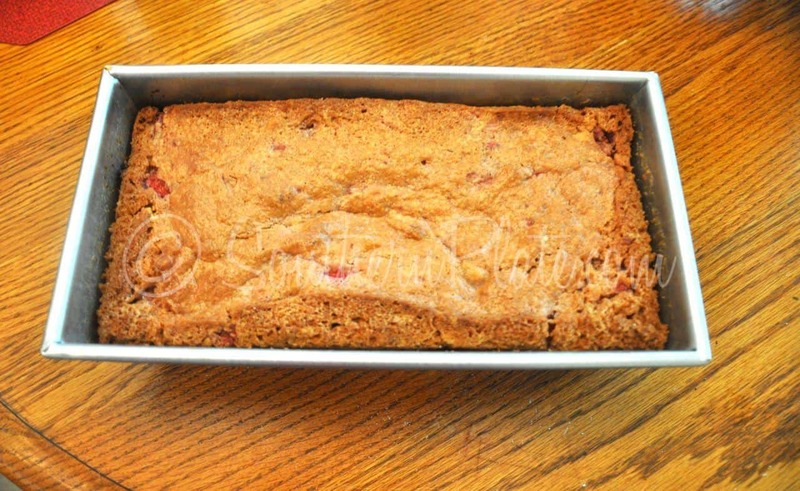 This strawberry bread recipe reminds me of my gramma’s Applesauce Cake recipe…so easy to make and everyone raves. I’m gonna try it this week! One of Billy’s favorite things to eat is sliced strawberries and sliced bananas with sugar. Ya gotta leave it in the fridge so the sugar makes them all “juicy”. 🙂 I can’t wait to try this recipe. I love pecans in any bread!! My oh my Christy. You are just cute as a button!!! You really seem at ease in front of the camera. Kinda of reminds me of my family, maybe sitting around on the porch talking and laughing about most anything or nothing at all!!! Great job on QVC! 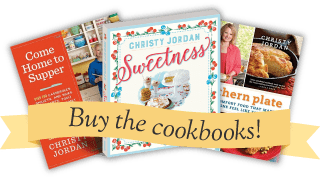 I live all things Southern Plate and Christy Jordan, thanks for sharing. I just made the strawberry bread…mine did not get pink it was very brown and I was thinking it was because of the cinnamon. The recipe said 1 tablespoon and I was wondering if it was correct. Thanks for all the great recipes, my family always looks forward to dinner! Your right 1 tablespoon of cinnamon is to much, I think it should be 1 teaspoon. I’m a strawberry fanatic and my favorite sandwich to eat while soaking up the rays on Jacksonville Beach, FL is a loaded fresh strawberry and peanut butter pita. ice cold out of the cooler and so refreshing under the hot sun! this bread shall be my next strawberry mission. Thank you! What a fantastic job on QVC. I am new to your list but since David liked you so much I came right on over and joined your family sight unseen. I can’t wait to get some home cooking up North! Congratulations on selling out the cookbook so quickly. I hope they have you back on.